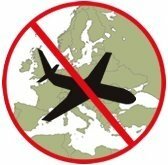 The European Commission has updated the European list of airlines subject to an operating ban or operational restrictions within the European Union by adding all airlines from Nepal. On the basis of safety information from various sources and a hearing both with the Nepalese aviation authorities as well as with a number of Nepalese carriers, the Commission decided to put all airlines from Nepal on the EU air safety list. Consultations were also held with the civil aviation authorities of Libya. The EU Air Safety Committee noted that progress continues to be made, but agreed with the Libyan civil aviation authorities that it remains necessary to maintain the voluntary restrictions not to fly to the EU, which are applied since the Libyan revolution to all airlines licensed in Libya. The implementation of these restrictions will remain under close monitoring by the Commission and the EU Air Safety Committee. Further technical updates to the EU air safety list were made, due to the removal of some airlines that ceased to exist and the addition of new ones recently created in a number of banned countries: Kyrgyzstan, Kazakhstan, Indonesia and Mozambique.